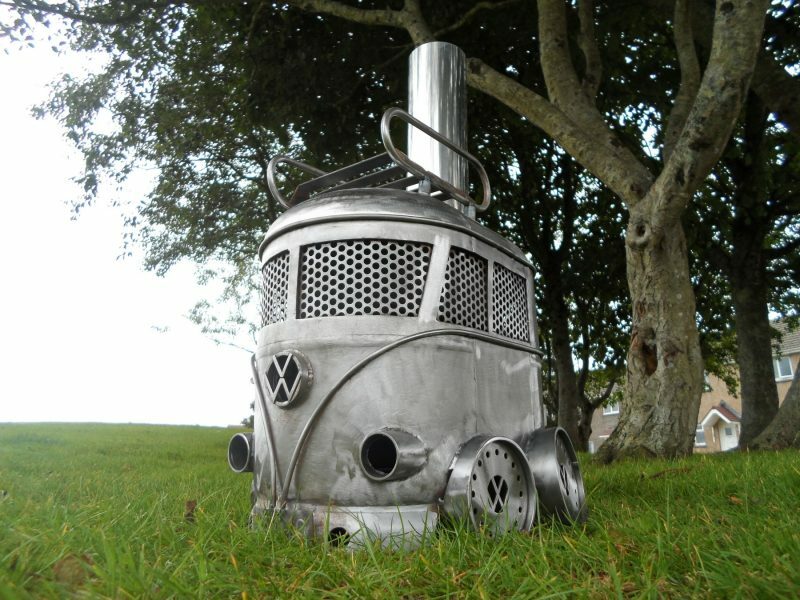 These are very high quality kombi BBQ / log burners, perfect for your garden, patio or taking down the beach or for a day out! 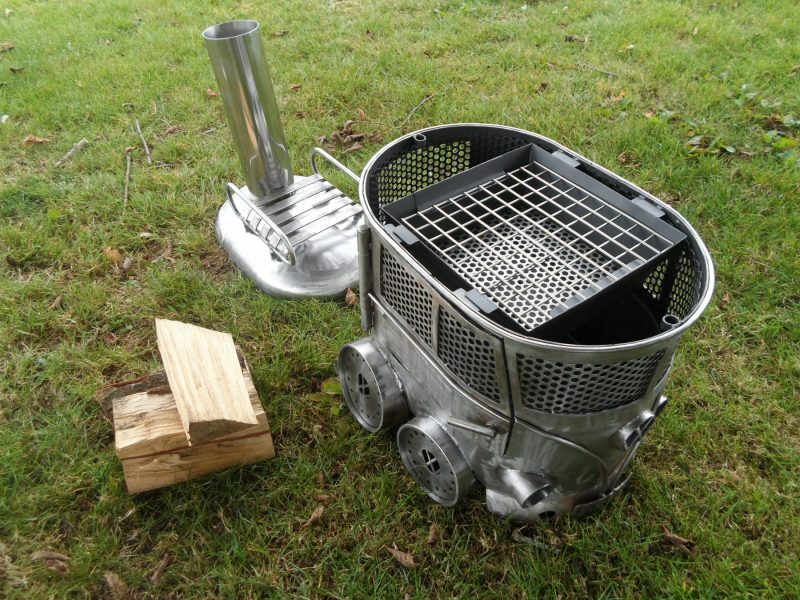 Based on our design 1 Camper this is both a small BBQ and a log burner. 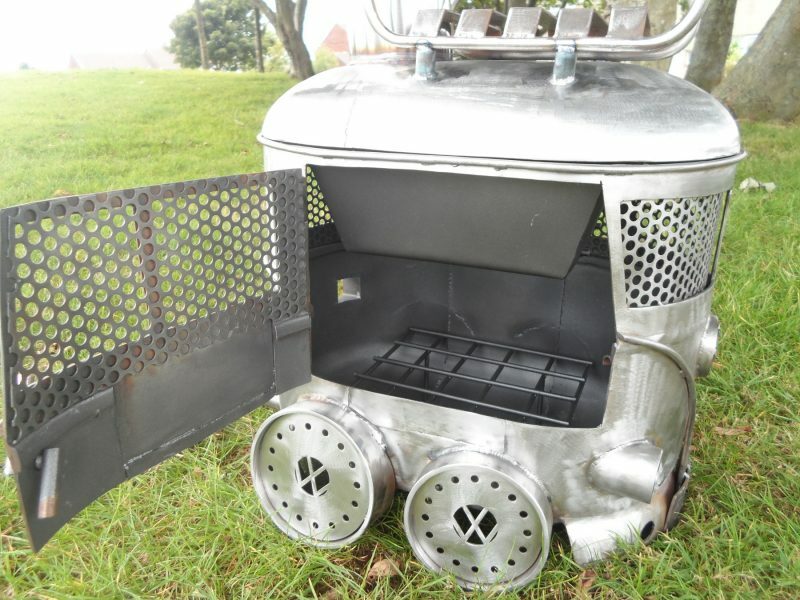 It can be used as either a Log burner, with loading access through the side door, or a BBQ. The top is removable and locates back on with 2 easy locating pins. 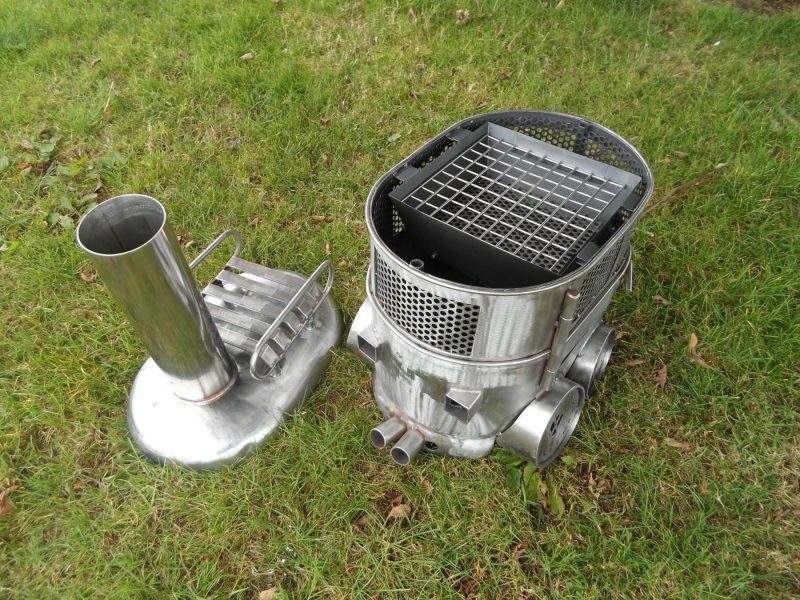 The BBQ tray is removable, with a lower coal rack and a Stainless Steel cooking grill, both removable for easy cleaning. All of the welding is done with the TIG process, more labour intensive but this produces a very small, neat weld, unlike the very common MIG, which can be unpleasing to the eye. I can customize the number plate to 8 characters of your choice, these are TIG welded as well, you can see the neatness of the letters/numbers in the photo. 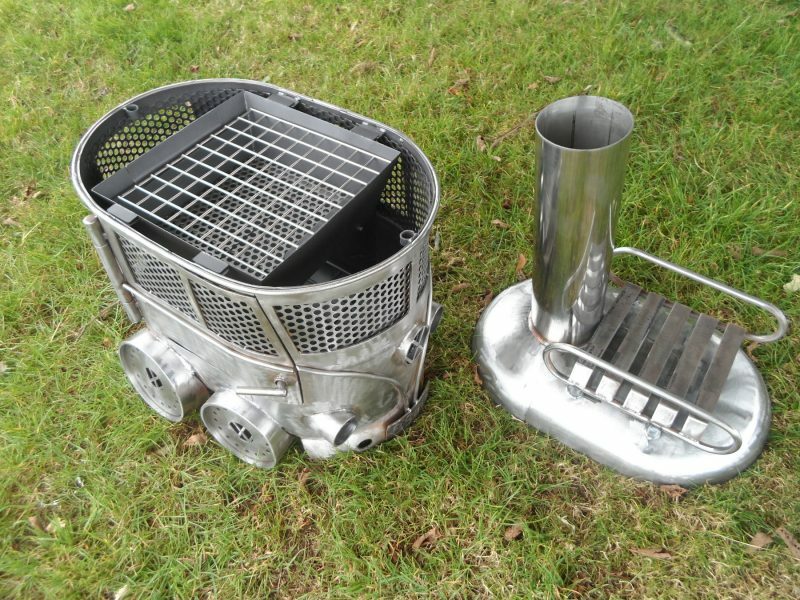 The finished burner is coated with professional Stove lacquer and will withstand temeratures upto 649 °C. 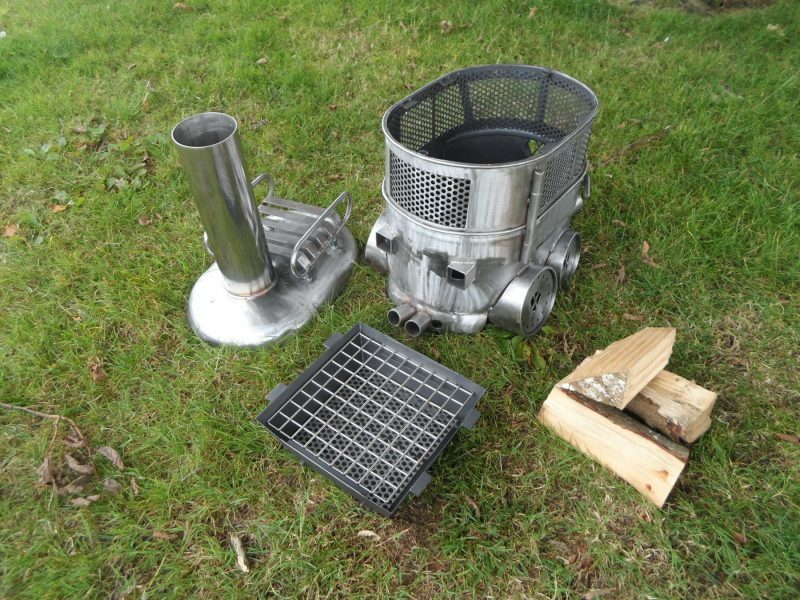 The flue is polished 316 marine grade Stainless steel.